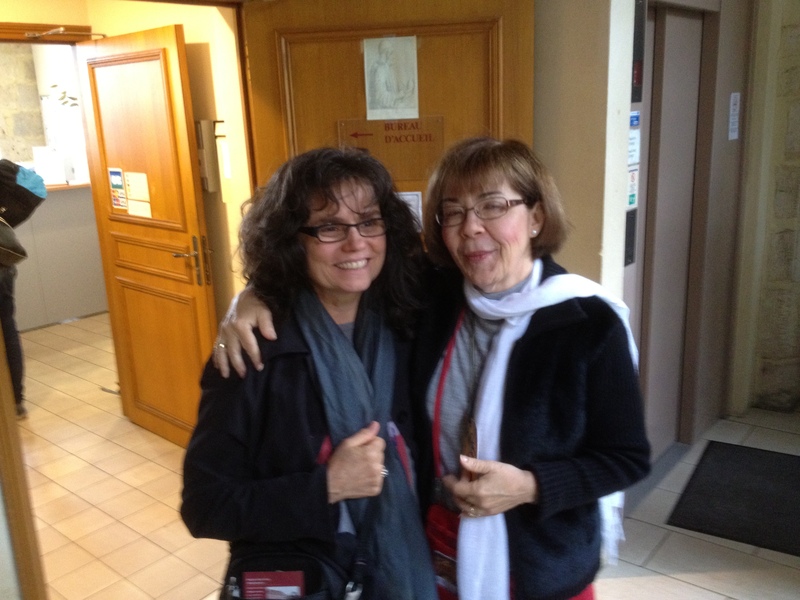 With Cantrell Maryott in Chartres, France. Two very tired friends after a wonderful experience! Tonight I wish every one of you all good things for the coming year. And I am going to begin by sharing a good thing with all of you. I had planned to write tonight about days gone by and hope for the future. Then I read my friend Cantrell’s blog and I immediately knew that it was Cantrell’s blog I wanted to share with you. Cantrell’s friendship has come late in this lifetime, yet I know that we have been deeply connected other times and other places. She is someone I treasure. There is no pretense in Cantrell. She is fully who she is without apology. Her beautiful spirit shines through her eyes and her smile, and when she sings…she weaves magic. So here she is. Thank you, Cantrell, for allowing me to share your thoughts as we begin the year. And thank you for your friendship. How soothing to read Cantrell’s message, especially now when I’m ready to count my ZZZs! I’ve already said my prayers and gave thanks for the many Cantrells in my life. We are both blessed to have some remarkable friends, Maggie. I am now headed to count my ZZZs also, feeling very blessed to have lived through the year and open to the wonders of the next one. How nice and simple life could be with more people like your friend Cantrell’s easy wisdom!